ST. PATRICK’S DAY… AND THE COLOSSEUM TURNS GREEN! On the occasion of the most important Irish festivity, Irish expats and Green Island lovers currently in the Eternal City won’t be disappointed: this year even Rome will be part of the famous Global Greening, the “lightening event” which will be taking place in other 86 places in the world to homage St. Patrick: the Colosseum as well as the Niagara Falls, the Christ the Redeemer’s statue in Rio de Janeiro, the Burj Al Arab hotel in Dubai, the London Eye and the Cibeles Fountain in Madrid (only to name a few!) will wear a green dress of lights for one night, starting this evening March 16th at 7.30 pm. The peak of celebrations will be clearly tomorrow the 17th: the Mass for Lá Fhéile Pádraig will be officiated by Cardinal Prosper Grech at 10am at St. Patrick’s Church (via Boncompagni 31, metro line A stop Barberini). 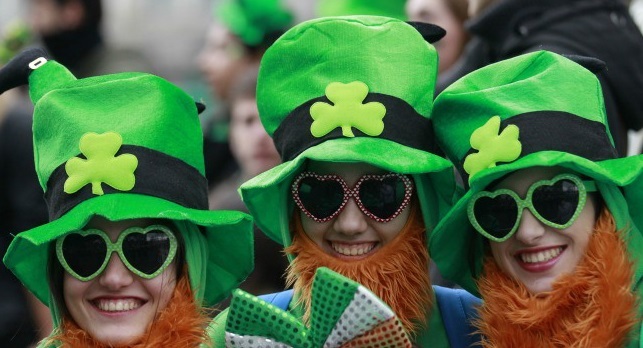 St. Patrick’s Day will be this year the occasion for launching the 8th edition of the IrishFilmFesta, the movie festival dedicated to made in Ireland productions strictly from March 26th to 29th at Casa del Cinema in Villa Borghese. Among the films, short films and documentaries, a special section will be dedicated to Irish Gaelic language films. From the afternoon onwards Irish pubs dowtown will welcome cheering crowds eager to go ahead with celebrations till late in the night. To get suggestions and directions for the most popular Irish pubs in Rome just ask our staff at Hostel Des Artistes!